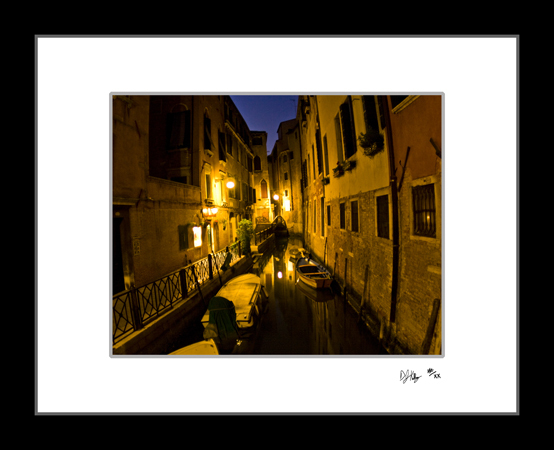 This fine art print of a skinny at night in Venice, Italy. Nighttime in Venice, Italy is always a good time to walk the streets and canals. The muted colors of the buildings, the dark water, and the low lighting lends itself to nice scenes. In this photograph night has invaded Venice and the lights are reflecting on the water. Venice at night is one of the most amazing sights and worth a walk.